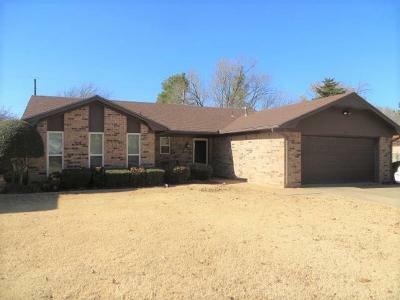 This beautiful 3 bedroom, 2 bath brick home offers a large living area with a fireplace, dining area and a large kitchen with a breakfast bar and plenty of cabinets and counter space! The master bedroom boasts a walk in closet and a full bath with handicapped shower. Enjoy the view of the privacy fenced backyard from the comfort of the enclosed patio room. Call today to schedule your appointment! !